KUB customers are paying $19 a month before they even flip on a light switch. In 2010, monthly fixed fees were $6. Since then, fees have tripled! These are some of their stories. 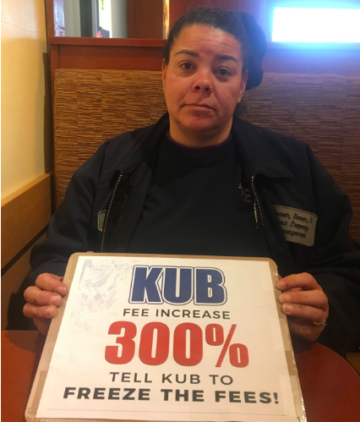 KUB still plans to keep raising fixed fees on electric bills despite rising customer alarm, so we compiled some stories and opinions directly from KUB customers here in this blog. These are just a few of the literal hundreds of stories that KUB customers have shared, providing a little glimpse into the immense burden being felt by the community because of high bills and fixed fees. The stories from around Knoxville are heartbreaking. Is KUB paying attention? As winter temps drop, residents’ monthly bills are spiking, but the cold weather is not the only reason. A largely unknown cause of spiking electric bills is actually sitting in plain sight on that monthly statement: It’s a high mandatory fee, just for being a customer. These fees are present on each and every KUB bill, regardless of how much electricity a customer actually uses that billing cycle. The fees have gradually increased over the years and are currently at $19 every month before a single light is turned on. 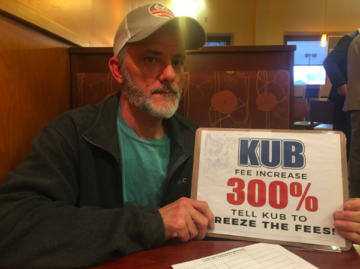 In 2010 that fee was at $6 a month… Now it’s more than tripled and KUB is on track to raise these fees even higher. That’s $19 a month, $228 a year, before a single light is even turned on. 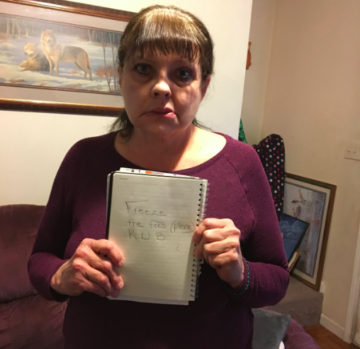 The stories KUB customers are sharing speak for themselves: for those on lower incomes or tight budgets, that’s $228 that they just don’t have. The stories show another element of this issue as well – While KUB recommends that people simply use less electricity to lower their bills, keeping your house cold or not using as many lights does nothing to lower the fixed fee, meaning that $228 burden will still be there. Since fees have risen, customers have cut their use on average without cutting their bills. As the fees get higher, this painful trend will continue to disproportionately impact some of our most vulnerable neighbors who are already doing everything the can to lower their bills. Higher fixed fees send the wrong message, and even though it’s easy for KUB to say “just use less power,” high fixed fees actively discourage efficient energy use as well as investments in technologies such as solar panels for homes and businesses, because it removes the economic incentive of saving money. 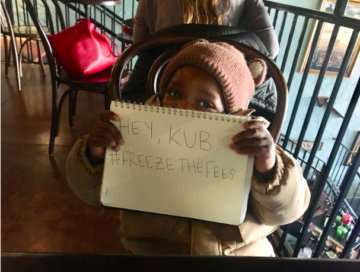 To date, over 2,200 KUB customers have signed a petition telling KUB to #FreezeTheFees. Over 500 customers have reached out to us directly, sharing stories like the few you read in this blog. Clearly something needs to change. Tell us YOUR story here and sign the petition here to get involved today.